he Mimosa B11 backhaul radio is designed for the modern Internet era, adapting instantly to variable upstream and downstream bandwidth requirements, at the lowest cost per Mbps in the industry. The B11 provides link distances of over 62 miles (100+ km). This is Mimosa's first entry into the licensed backhaul market, and the B11 is unique in the industry with one radio covering the entire licensed 10.7-11.7GHz spectrum. This spectrum results in faster deployment through simplified equipment management and license acquisition. Mimosa’s network design tools provide instant insight into coordination success by providing a view of nearby licensed links across the band via the FCC licensed database. Mimosa designed the B11 to be flexible to meet bandwidth directional demands, adapting the spectrum to meet immediate Internet traffic needs. 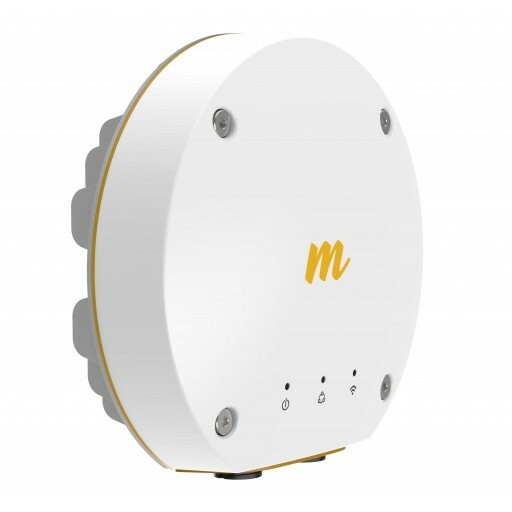 As with all Mimosa backhaul products, the B11 uses spectrum analysis and load balancing to maximize bandwidth, frequency and power use based on real-time and historical data. The B11 is easy to deploy and is low-power and ultra-reliable, with fully integrated lightning ESD protection and IP67 rating.